I love visiting universities as a guest recitalist and clinician. Each studio is as unique as its individual students, and I work closely with the professor(s) to tailor my presentations to the students’ needs. Coaching students on solos, etudes, excerpts, chamber music, and career building is something on which I thrive, and students grow tremendously. Another program that I offer universities is a Career Development Seminar that applies to all music students. Throughout my guest visits – not to mention my own education – I have found that the majority of graduating music students are grossly underprepared for the real world of surviving as a musician. My presentation targets this exact issue, and encourages students to begin thinking creatively about building their careers. I have presented this seminar to considerable acclaim for classes of 200+ students, many of whom told me afterwards that they never even considered many of my points. The summary below most accurately describes the purpose and goals of this Seminar. Gainfully Unemployed: finding musical success post-graduation. A guide on surviving and thriving as a musician. While there are no guarantees of finding success or making a living in any field, it is an uncontested truth that finding sustainable work as a musician is more difficult than most other fields. Making a living as a musician is possible, but it takes discipline, creativity, and unwavering commitment to your craft. 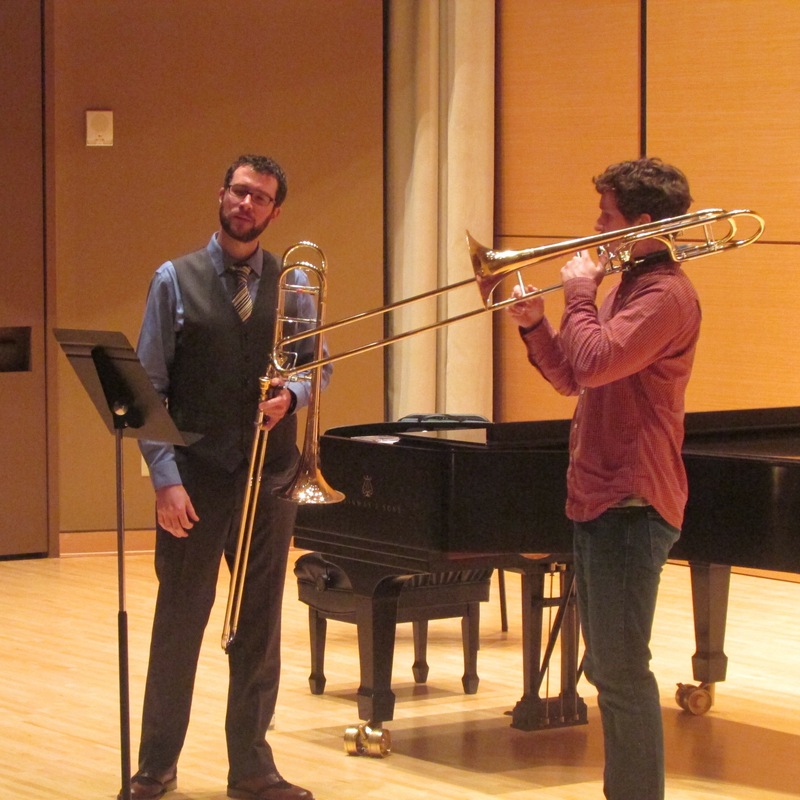 Some students graduate and win auditions with professional, full-time ensembles. Others are awarded teaching positions, from the kindergarten level to university professors. Many will find themselves working as the unsung heroes of the music world: administrators, stage managers, composers, historians, librarians, and a plethora of other possibilities of which you and I are probably unaware. Yet for many of us, going from the student world to obtaining a full-time position within our field is not something arrived at immediately, or without significant work and creativity. The word “freelance” often carries a negative connotation, as many people think that freelancers are just folks who never won an audition or teaching job, or became lazy in their pursuit of otherwise full-time employment. That is hardly the case. However, the skill-set required for success is much more involved than most musicians are capable. Through this seminar, my goal is to make you aware of these skills and the possibilities that exist, while igniting your creativity to develop ideas that will help you find success. Not only will I outline ways to develop your musical career, but also show you ways to continue to grow as a musician. If you are interested in having me visit your school, please click here to contact me. Having attended the Peabody symposium as an observer, I can attest to the fact that it was a great experience for all the participants. I thought the recital couldn’t be beat … until the Master Class commenced; it was even more impressive!